Along with his son Capt. Jimmy Lewis, they continued to find ways to make kite fishing easier and better until his death in 1997. Now Jimmy, and his wife Holly, are continuing on the family tradition that Bob started so many years ago, and since both are avid fishermen, they have been making the changes necessary to bring kite fishing to the 21st century, and they will continue to improve upon this very unique and exciting way to catch fish.le kite fishing is a centuries old method of fishing, dating back to ancient Egypt, it was Capt. Bob Lewis who perfected this very successful way to catch all kinds of fish, and then made it available to everyday fisherman. Along with his son Capt. 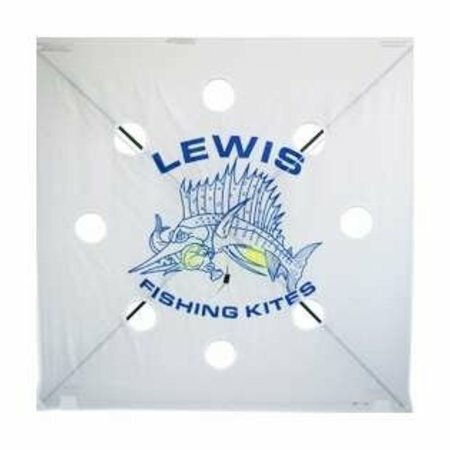 Jimmy Lewis, they continued to find ways to make kite fishing easier and better until his death in 1997. Now Jimmy, and his wife Holly, are continuing on the family tradition that Bob started so many years ago, and since both are avid fishermen, they have been making the changes necessary to bring kite fishing to the 21st century, and they will continue to improve upon this very unique and exciting way to catch fish. While kite fishing is a centuries old method of fishing, dating back to ancient Egypt, it was Capt. Bob Lewis who perfected this very successful way to catch all kinds of fish, and then made it available to everyday fisherman. Along with his son Capt. Jimmy Lewis, they continued to find ways to make kite fishing easier and better until his death in 1997. Now Jimmy, and his wife Holly, are continuing on the family tradition that Bob started so many years ago, and since both are avid fishermen, they have been making the changes necessary to bring kite fishing to the 21st century, and they will continue to improve upon this very unique and exciting way to catch fish.